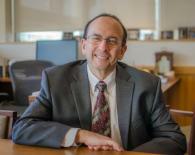 Allan R. Tunkel, MD, PhD: Associate Dean for Medical EducationDr. Allan R. Tunkel is the new Associate Dean for Medical Education at the Warren Alpert Medical School of Brown University. Dr. Tunkel comes to Brown with an extensive background in medical education, administration, clinical expertise, and scholarship. He had held significant academic leadership positions at Drexel College of Medicine and Monmouth Medical Center. As Senior Associate Dean for Academic Campuses he supervised Drexel's relationship with its 25 clinical academic campuses throughout Pennsylvania and New Jersey. While in that role, he developed new affiliate relationships with hospitals in medical education and residency training. From 2002 to 2005, Dr. Tunkel was the Associate Dean of Admissions managing all activities to recruit a class of 250 students including transfer students and special programs. Prior to his arrival at Brown, he was Chair of Medicine at Monmouth Medical Center and Professor of Medicine at Drexel University College of Medicine. During his tenure in the Department of Medicine he also served as Vice Chair, Vice-Chair for Education, and Residency Program Director. He has received numerous teaching awards and honors and is passionate about physician training and mentorship. An undergraduate of Seton Hall University, Dr. Tunkel later pursued a PhD in experimental pathology followed by a medical degree at the University of Medicine and Dentistry of New Jersey, New Jersey Medical School. He completed his residency and chief residency in Medicine at the Hospital of the Medical College of Pennsylvania followed by a fellowship in Infectious Diseases at the University of Virginia. He is widely acknowledged as an international expert in bacterial meningitis and other central nervous system infections. As Associate Dean, Dr. Tunkel has primary responsibility for the undergraduate medical education programs at the Warren Alpert Medical School. He supervises curriculum planning, evaluation and management for the four-year medical program and Brown's eight-year BA/MD continuum program, the Program in Liberal Medical Education; oversees medical school admissions, financial aid, registrar activities, student advising and the Office of Diversity and Multicultural Affairs on student recruitment; and has primary responsibility for medical school accreditation requirements and processes. Pathobiology seminar: Eric P. Skaar, Ph.D., M.P.H.